Today’s Daily Prompt asked us what we were snobby about. After thinking a bit I realized there are two things that push my snooty button faster than anything. Time weights for no man. Um, yeah. Time has weight alright. But time waits. Or doesn’t according to the meaning of the sentence. Sigh. So spell check alone may not be enough. A writer needs to read what they wrote. Wow – groundbreaking! Now hold onto your tomatoes peeps because I’m not finished. I know good writers (and that includes all you bloggers out there) read what they write. As a long-time secretarial person I also know that you can read your own work till you see it in your dreams, and you may still miss some embarrassing boo-boo. That’s why secretaries still exist! Well, one of the reasons anyway. I work for attorneys (now would probably be okay for the tomatoes – ducking) and when you get half a dozen of them working on the same pleading? Fugedaboutit! This is why I’m known in the office as The Proofreader. Okay, not really. But that doesn’t stop them from bringing me (or now emailing me) a document that requires a close, careful read. They rely on me to weed out misspellings, inconsistencies in formatting, abbreviations, pagination, etc. It’s even been noted specifically as one of my better skills on my annual evals. But it’s a curse I tell you! I can’t read anything … from the back of a cereal box to an ad on the side of a bus – without running my mental spell check and judging the author. That tends to make it difficult to take someone’s work seriously. They spent hours or days or weeks researching, compiling and composing only to allow such an obvious glitch? How do I know their research was done correctly? Can I trust their thought process? This is why you have someone else read it for you before publication. Or at the very least, put it on the back burner for a day or so. Reading it later helps you spot things you might otherwise miss. Experienced writers usually know this, but not everyone does. Or they trust themselves. Nothing wrong with that; I don’t have anyone read my stuff except me. If there’s a mistake I am fully responsible. But then I’m just writing for me; I’m not trying to persuade, or teach or enlighten. Okay, off the soapbox Janey! The other thing I’m snooty about is baking. I like to use REAL ingredients. You will NEVER find imitation vanilla in my kitchen! Or margarine. Or carob. Or … well let’s just not go there. This entry was posted in Word Press Prompts and tagged Daily Prompt, judgmental, proofread, snobby, spell check. Bookmark the permalink. Spotting spelling errors is also my biggest pet peeve. Typos just JUMP off the page and into my eyeballs. I can’t help it. And yes, I do judge the author. We all make mistakes, but please be tenacious and fix the ones you can! Coffee…from the way it’s ground to how it’s brewed, I’m a big fat snob. The thought of instant coffee makes me shudder. I’m barely capable of tolerating a cup from a Mr. Coffee type machine. I’m a French press or a moka pot Girl til the day I die….I blame it on my trip to Sicily…..
I’m going to pick up a cheap French press to use here in the office. I do cold brew at home but I had a cup of French press at a local independent coffee shop called Storyville and I am now hooked! I do automatically check errors while reading. I started to try to become more patient after complaining about spelling once, and misspelling my complaint. Then there was the time I mentally judged someone and then found out that English was not their first language. ‘Hey, I know not everyone can Spelling Bee Champ’. 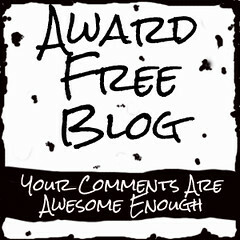 this makes every comment you’ve left even more worthwhile! ok gotta put my tomatoes back in the fridge. I think all writers worth their salt are incredible proofreaders. Once something is published it is out there forever. Nothing worse than seeing a billboard with a typo!